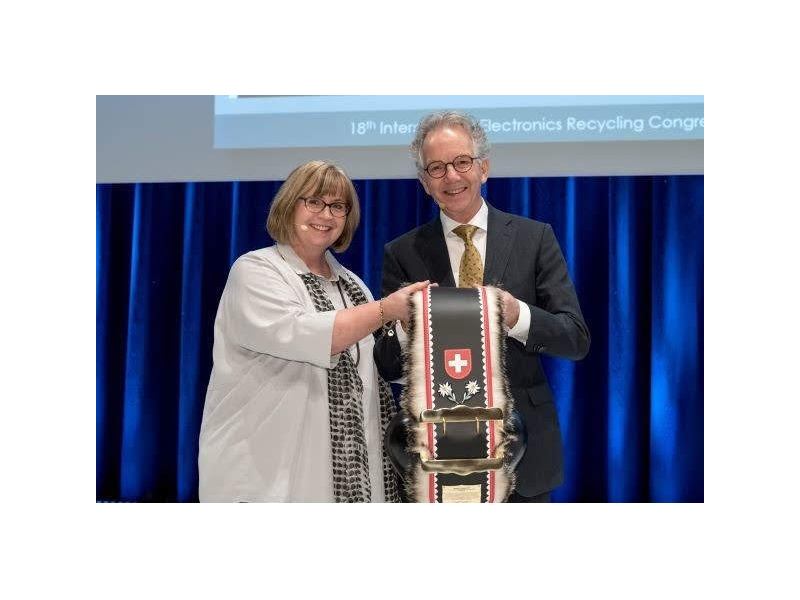 On Wednesday 17 January 2019, Norbert Zonneveld, the Executive Secretary of EERA (European Electronics Recyclers Association) for the last 15 years, was honoured with the “IERC Honorary Award” during the 2019 IERC conference in Salzburg. EERA was founded in 2004 by Norbert Zonneveld in cooperation with 6 WEEE recycling companies. 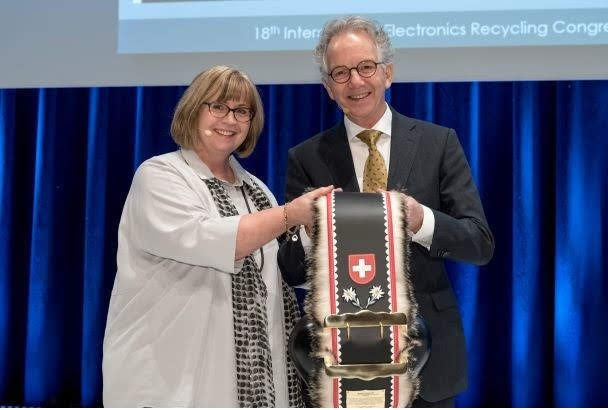 The European Electronics Recycling Association is celebrating its’ 15th anniversary this year. During his word of thanks he said that he stepped down as the Executive Secretary from January, but he will stay close to the Association as an advisor. Lida Stengs, who has been working as International Business Manager over the last 5 years, will be his successor. The professionality of the Association is ensured by the nomination of in total, three experts, all with long history in the WEEE business. Manfred Fahrner will professional support on the content of Batteries and Cooling and Freezing Equipment, Chris Slijkhuis for Plastics and Norbert for Economics and Standards. In his speech Norbert looked back on the past 23 years and shared his vision for the future of our industry and the challenges that we are facing. The gap in trust between policy authorities, policymakers, politicians and the WEEE industry is too big. The WEEE industry needs to work on closing this gap by expressing that they are proud on what the industry is doing and with its contribution is to the aspirations for a sustainable society. It is necessary to improve on the way the things are done nowadays in the WEEE business. Improvements are needed in collection in order to achieve high recovery rates in treatment. Innovation of recycling technologies is absolutely necessary because the products which are now being developed are far more complex than they have ever been. It can already be seen that the present technology is insufficient and that recycling rates are going down. This negative trend is at times becoming worse by ad hoc legislation, which is more the result of satisfying sentiments than based upon scientific arguments. Also the increase in waste legislation is becoming implausible and enforcement falls short of what is required for a sustainable society. A realistic view on the circular economy is required. The concept for sure can create more jobs but cannot be realised without higher costs. Essential goals that need to be achieved for a sustainable economy can only be reached in cooperation with all actors working together with an open mind. In the 15 years that EERA exist its members treated > 30 million tons of E-waste, which is equal to 325,2 million tons of CO2 savings. EERA is proud of this significant contribution of our industry.